Attachment : Lab Certificate which proofs the Authenticity of the same will also shipped with this mala . 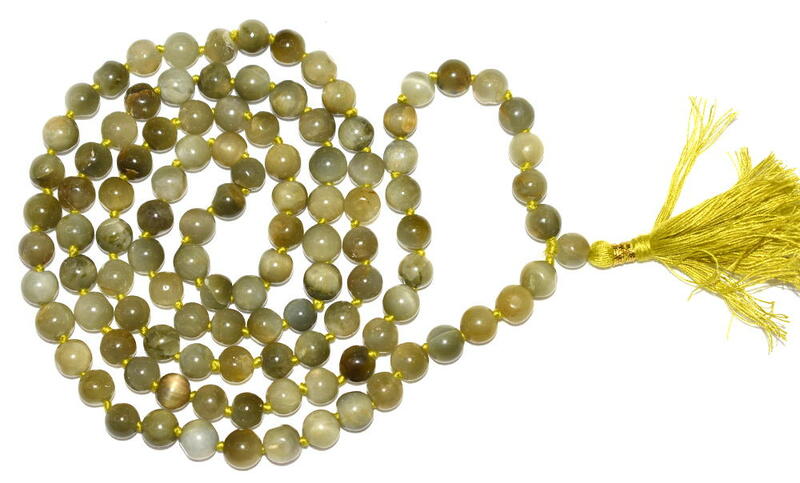 Cats eye has always been thought to bring good fortune to the wearer. It is said to harmonize Ketu which is traditionally known as the “Tail of the dragon”. It helps the wearer to achieve mental stability. It helps to remove obstacles in business & to release fear of accidents. It gives protection from enemies and evil spirits. It destroys sorrows, poverty, diseases & calamities.